No longer do we live in a place in which attacks only come from the real world. Instead, there is a different type of threat that is affecting many people and companies. A danger that can leave you vulnerable to losing personal information, bank accounts and anything important to you if you are not adequately protected. The threat is ransomware. Ransomware is a type of cyber threat in which cyber thieves hold your computer hostage until you pay for your system to be restored. A type of software called malware takes over your computer. The result is you being denied access to your data until you pay the attacker their desired ransom. Upon payment, the attacker releases the decryption key to give you back access to your computer – although you cannot always rely on the attackers being truthful. Anyone can be affected, including individuals to large corporations, even hospitals who store personal data of patients. Since this cyber threat is very real and has the potential to be devastating to its victims, protecting yourself is critical. So we created a list on how to protect against ransomware quickly. A VPN is a virtual private network. 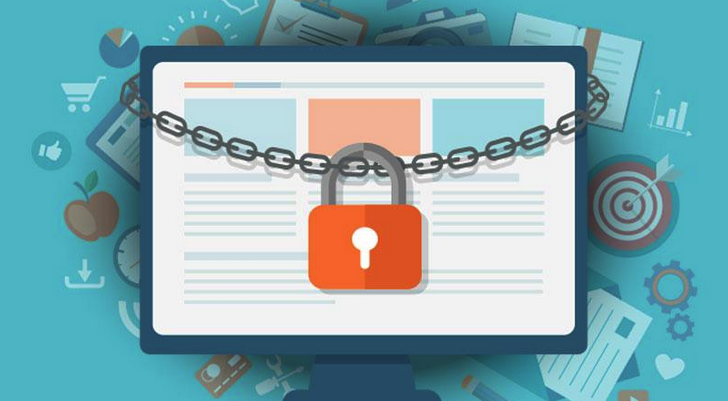 It works to protect your internet connection from outside forces that want in – cybercriminals, false Wi-Fi networks, even the government. If you are connected to a public, open network, your VPN will secure your connection making it as private as possible. It works by creating an encryption tunnel in which no one else can see your data, except for you. As your data flows throughout the network and is encrypted, you are virtually invisible within the network. So if you like to connect to hotspots and free Wi-Fi from coffee shops or something similar, this is the best way to protect you from anyone trying to access your data other than you. Backing up your files is a habit you should get into if you aren’t already. Not only will it save you the stress of having to restore data if your computer crashes, but it can also save you if you fall victim to ransomware. Cyber thieves who use ransomware are looking for a payment. If they lock up your computer, you are left to either pay up or lose all your documents. However, if you have your system backed up, you won’t be needing to pay the money if you get locked out of your system. You’ll have everything you need waiting on an external hard drive or a cloud system. An easy way to get caught up in ransomware is through broken links through phishing scams. It is easy to hide a threatening link within a well-planned email, even if you know the sender. So be careful when clicking on external links, whether it be sent through an email or from another site. If possible, try to verify the web address before clicking on the link. If you can’t, there’s a good chance the link is a threat. If you end up clicking on one of these, your system becomes vulnerable to viruses and ransomware. When in doubt, keep your system up to date with its software. When your computer notifies you of new patches and updates available, do them as quickly as possible. The same goes for any antivirus software you may have. Make sure that is always up to date and working correctly. Good antivirus software should alert you when there are attempted attacks on your computer or if you are downloading something that could be a virus. So keep everything as up to date as possible to ensure it is working correctly. Previous articleEnsure Your Elderly Parents are Living the Best Life Possible. Next articleIs It Time to Outsource Video Production? These 4 Signs Say Yes!